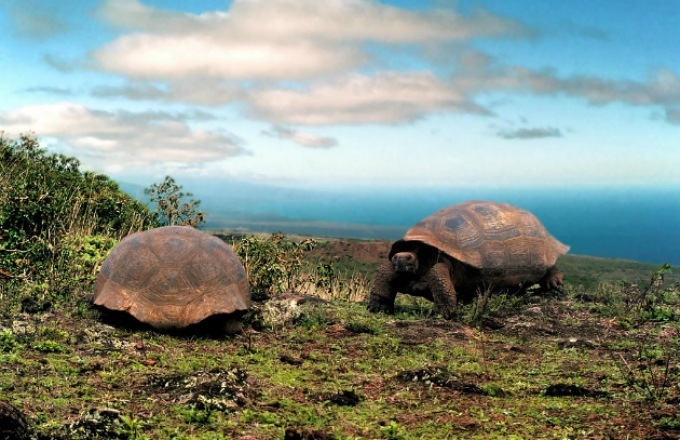 The Galápagos Archipelago, Darwin's living laboratory, is home to an abundance of wildlife. Isolated from the mainland for millions of years, it is that rare wilderness where animals have no instinctive fear of humans. Traveling aboard the National Geographic Endeavour or National Geographic Islander, experience up close encounters with unique species such as flightless cormorants, marine iguanas, and domed giant tortoises. Tour Darwin’s “living laboratory,” the Galapagos, aboard the small ship National Geographic Endeavour or Islander, guided by field scientists. Walk to the top of Bartolomé's volcanic cone for a stunning view of Pinnacle Rock and the surrounding white sand beaches. You may also have the opportunity to swim with Galápagos penguins. See Darwin's finches, boobies, and waved albatross on this birder's paradise. Walk among vivid green and red marine iguanas, and observe sea lions up close on a pristine white-sand beach.